Pricing – How much does it cost?! We can bring back the shine. The price for detailing a boat depends on size, components and the extent of it’s neglect as well as the procedures we must use to restore it. Simply put, the failure to professionally maintain your boat leads to devaluation, disintegration, and diminished boating pleasure for you and guests. 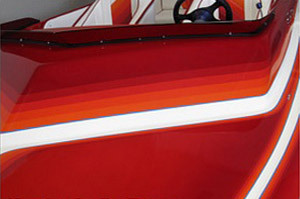 If it’s been a while since your boat has been waxed, call us at 865-257-9084. We do not advertise fixed rate prices because boats are maintained differently and the condition varies by owner. Some boat owners desire different levels of cleaning and service. Whether it’s a pre-sale detailing, a restoration or you just want to keep your prized investment in pristine condition, we can create a cost effective solution. Get Your FREE quote here.